We strive to make our class schedule as flexible as possible, since we know everyone has time-constraints. With our varied classes throughout the day, there is sure to be a time that fits well with your schedule. * | CROSSFIT /’krɔs-fɪt/ (n): It’s constantly varied to improve your fitness! * | UNLOADED /’ən-ˈlōdˈed/ (n): We work on the fundamentals of CrossFit with a bit of speed and a lot of sweat, but without the heavy barbell. * | YOGA /’yoh-guh/ (n): Recover from a hard week of training with a series of postures and breathing exercises practiced to achieve control of the body and mind. 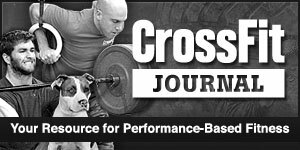 * | COMPETITORS /’kəm-ˈpe-tə-tərs/ (n): Do you participate in CrossFt competitions and the CrossFit Open with hopes of qualifying for Regionals? Then this class has what you need.